Lemurs are a group of primates endemic to the island of Madagascar. There are over 100 separate species ranging in size from the mouse lemur (weighing 30g) to the Indri (weighing 7-10kg). Lemurs are very social and live in groups called troops. Lemurs are the most threatened mammal group on earth. At least 90 species are considered to be threatened with extinction, including 22 that are critically endangered. Lemurs are only found in Madagascar and the nearby Comoro Islands. They occupy many different habitats including dry deciduous forests, rain forests, wetlands and mountains. Some lemurs are herbivorous, feeding only on fruit, flowers, leaves, tree bark and sap. Others are omnivores and eat a variety of foods including fruit and leaves as well as insects and small vertebrates. The main threat to lemurs is habitat loss caused by slash and burn agriculture and illegal logging. They are also hunted for food and the local pet trade. 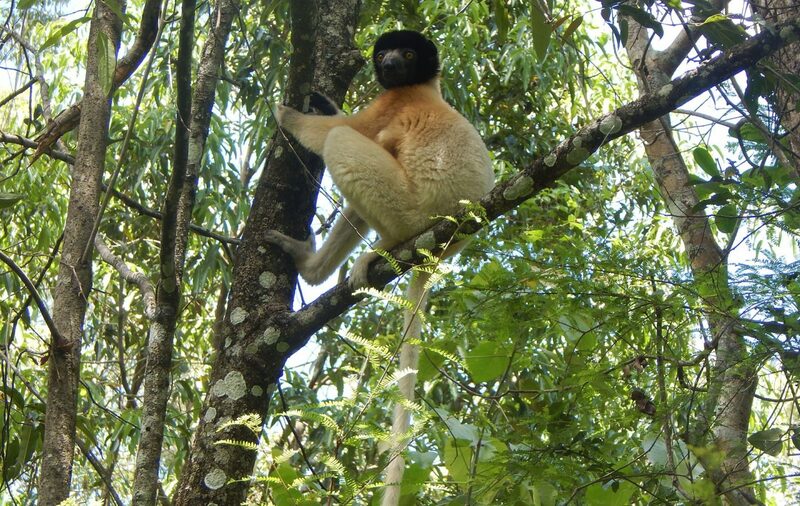 Tusk supports a number of conservation projects in Madagascar to reduce deforestation and protect lemur habitat including environmental education, community-based initiatives and alternative livelihoods.